All of us love road trips, we had an amazingly fun weekend. 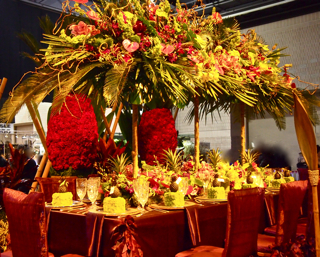 The Flower Show and VisitPhilly hosted us, including a stay at the lovely Loews Hotel Philadelphia that was a block away from the show's home, The Pennsylvania Convention Center. Dave loved that it's also a block away from Reading Terminal, an incredible indoor market and food hub. 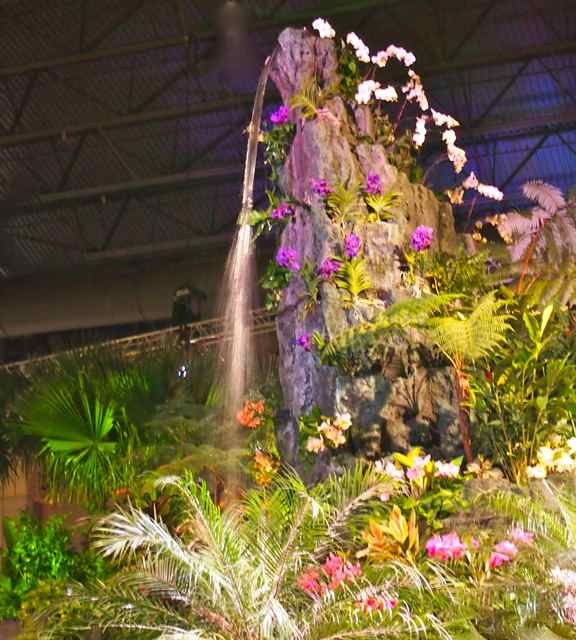 Philly's flower show has been going on for 183 (!) years; it's the oldest, largest indoor show of its kind. Recent themes have included Springtime in Paris, Bella Italia and Passport To The World. 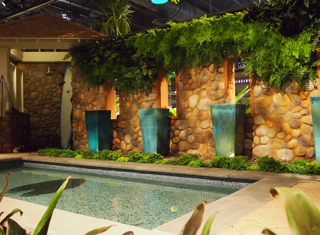 It's held in early March; exhibitors came from around the country (plus the Netherlands and Ireland) to show off horticulture and landscape designs, and it was massive. Max ventured in but then got sensory overload, so he and Dave headed out for a walk and Sabrina and I explored. 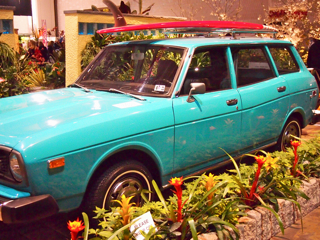 "Islands of Aloha" was a mix of 46 exhibits, including fantasy rock gardens, a beach wedding, peaceful mountain streams and tropical retreats that made me seriously regret not living in Hawaii. There were expert talks, designer studios, a flower shop. It was breathtaking from the second we walked in. 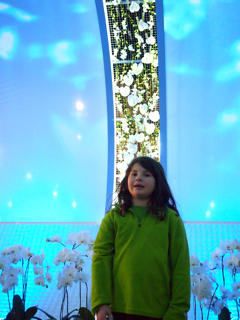 Here's Sabrina in the entryway "orchid wave," which showcased more than 2000 of the flowers in a glassy enclosure that made you feel as if you were standing beneath crashing waves. Afterward, you walked into a tropical wonderland, including a 25-foot-high waterfall splashing down onto a garden of exotic flowers and plants. 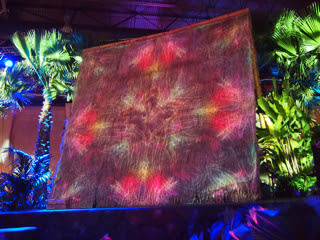 A spectacular light show on the side of the tiki hut. A lovely little escape (if you have $100,000 to spare). 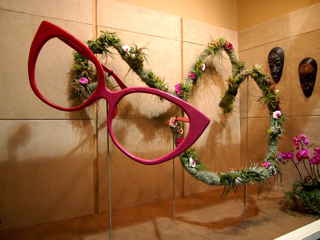 Idea for next year's flower show: Invite guests to sleep over! This creation won a 1st-Prize Blue Ribbon. 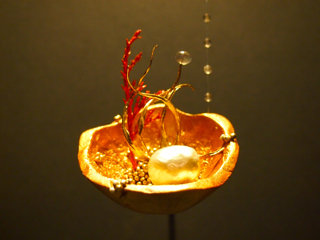 In judge-speak, "A well executed theme with the pearl anchoring the shell." 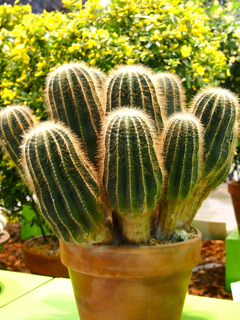 A cool cactus. I told Sabrina about the time, as a child, when I placed my hand over Aunt Jenny's cactus plant and my Dad had to pick out all the needles. She thought it was a laugh riot. And then she proceeded to put her hand right over the cactus. Thankfully, I grabbed it away before she touched it. One word: KIDS. Meet some lovely Dwarf Witchalder. I thought they were magical. Hanging in the Bonsai area. They're my favorite plants, but I'm unable to keep any alive; someday, my obit will most likely list "bonsai killer." 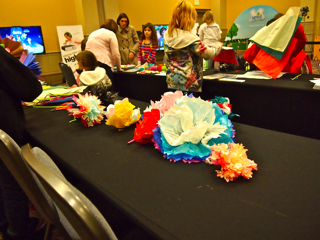 A family lounge, with flower-making, coloring and other activities for kids. The concourse outside the exhibit area also had a "Man Cave." I dared not go in. 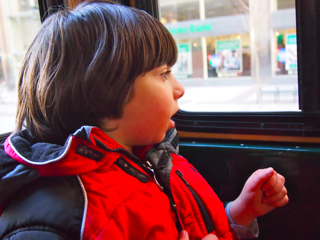 Max, meanwhile, had a blast exploring Philly by trolley via Philadelphia Trolley Works, part of Big Bus Tours (the company also offers double-decker buses). A guide narrates the 90-minute trip, which takes you past various glorious statues (including Rocky, of course), the massive Eastern State Penitentiary, the home of Betsy Ross, the Liberty Bell, the Rodin Museum, the historic district and the site of Benjamin Franklin's first house. 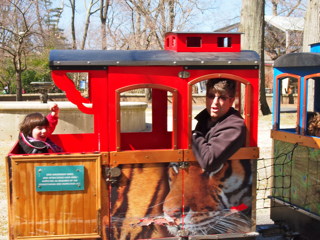 Next day we hit The Philadelphia Zoo, the best one we've ever visited. 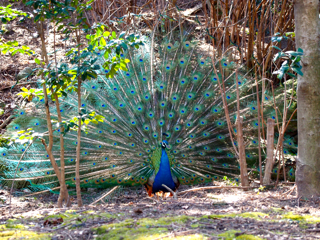 It's America's first zoo (Philly is history central! ), but it felt all modern. 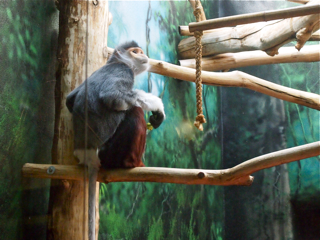 We saw animals we'd never before seen like this dude, a douc langur. 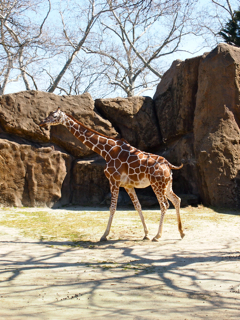 One of the best parts: how close you got to the animals (er, not the lions and tigers). I stood there and stared at this guy for 10 minutes. We also stopped by The Franklin Institute, a super-interactive place to explore everything from sports to space. Highlights include a giant two-story heart, planetarium, IMAX theater and 4D flight simulator. 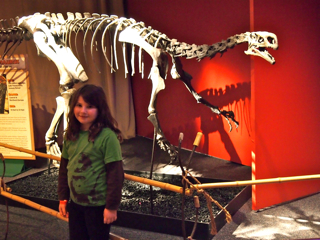 We did the Giant Mysterious Dinosaurs Exhibit, open through April 15. 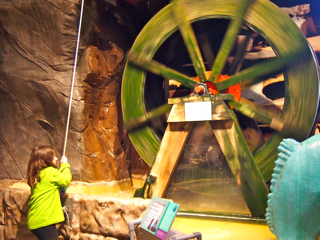 Sabrina works a water wheel in the KidScience zone. 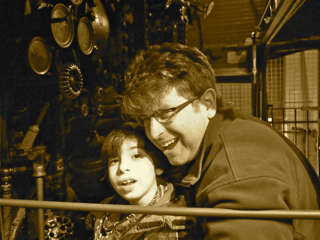 Max nirvana: the Train Factory interactive exhibit. 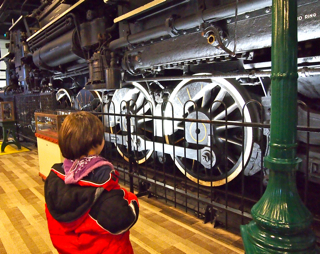 It has a working 350-ton locomotive where kids can feel the heat of the steam, hear the sounds of the machine and find out what it takes to drive one (potential Max future career). Riding that train! Max went on it five times (it inches forward and back), and got to toot the horn. 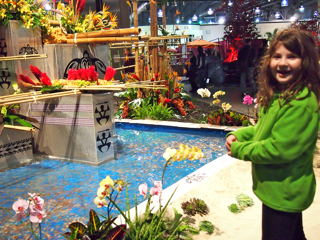 I totally recommend planning a family trip around The Flower Show. Next time, we'll go on a weekday; I hear it's relatively quiet after 4, a good time to bring kids who don't like crowds. 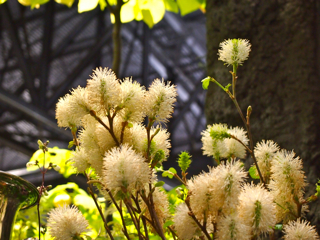 The March 2013 theme: the design, gardens and landscapes of England. Which will surely make me regret not living in England. 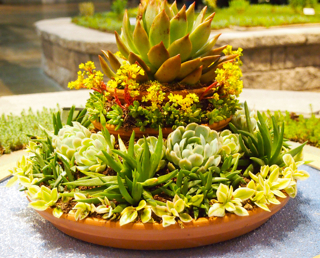 Wow those flower arrangements and the succulents are gorgeous. My Aspie loves trains too. He looks like he was totally into that! Great pictures! Looks like you had an awesome time. sounds like fun was had by all!!!! as always love your post!! 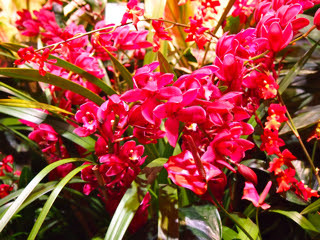 Ellen, I have been to this flower show several times and really love it. I think Philadelphia has so much to offer and learn from. 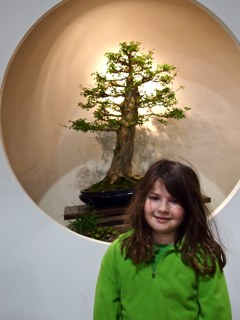 If you want to raise bonsais, see my son's blog: John the plant man. He will walk you through it. Thanks for sharing a great, beautiful adventure. I also love Max; also Sabrina. Love, love, LOVE! Everything you mention/show is totally cool - so cool, in fact, I really want to go in 2013. Oh, so beautiful!!! Looks like such a great time!!! 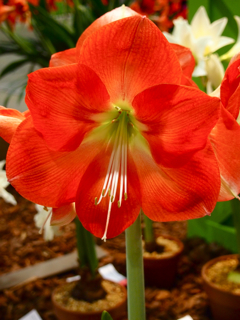 i love flower shows but I've never seen one like that! WOW!! And my son would have love the train! Sounds like everyone got to do something perfect for them. i did the same thing when i was a kid with the cactus! I kept patting it thinking wow this cactus doesn't pinch at all. i must have had 100 needles in my hand! I'll never forget that! wow, there's so much to do in philly. bloggy boot camp is going to philly this year and i was thinking of going there and combining with a family trip, thanks for all the ideas! Ellen, sounds like so much fun--and the flowers looked beautiful. Great photos!